The Core Knowledge Preschool Sequence is a set of model guidelines describing fundamental competencies and specific knowledge that provide coherent foundations for later learning in kindergarten and beyond. The Preschool Sequence is meant for children between the ages of three and five. The Preschool Sequence addresses physical, social, linguistic, and cognitive aspects of development. You can download an overview of major areas of skills and knowledge addressed in the Core Knowledge Preschool Sequence. The Core Knowledge Sequence is freely available for non-commercial use. Children need to hear language—specific words or vocabulary, grammatical features, and so on—before making it their own. When children repeatedly hear certain words or phrases, they will eventually begin using those words and phrases in their own speech. So it’s especially important that preschool children hear the language and vocabulary typically used in school to talk about specific subjects and content. 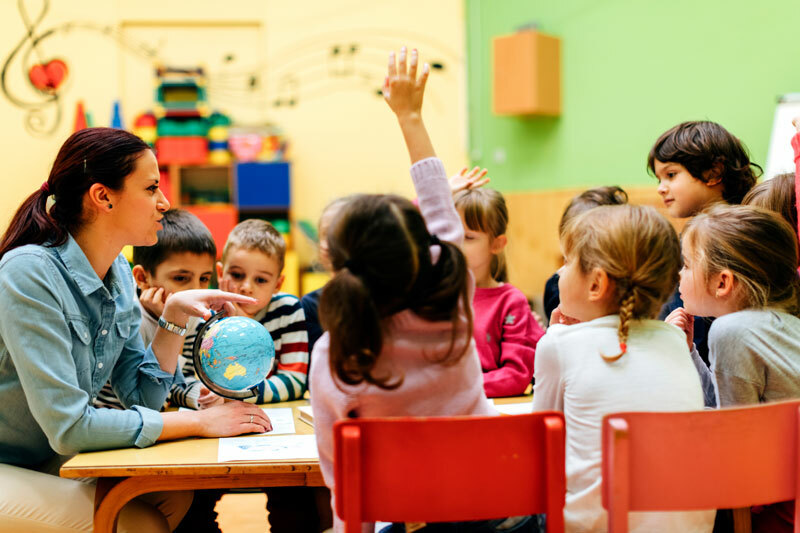 The Core Knowledge Preschool Sequence includes in each discipline a subsection called Language of Instruction, which lists terms that knowledgeable individuals generally use to talk about a particular subject. While not exhaustive, these lists provide a sampling of the vocabulary to which young children should be repeatedly exposed. For example, when talking about storybooks, both teachers and children might use terms like first, next, then, after, and end. 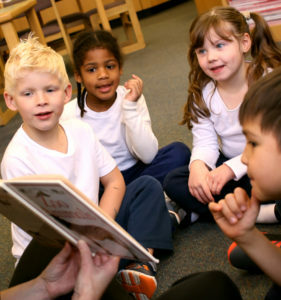 In talking with children, the teacher should use terms like author, title, character, and illustration. While children are not expected to memorize or necessarily use in their own speech, the word lists are included to guide teachers and caregivers as they interact and talk with children. Explicitly stated goals and skills are necessary. An explicit set of skills provides the stepping stones children need to achieve developmental goals. Most early childhood curricula and state standards are presented as general goals. The Preschool Sequence further defines each goal by its component skills. This level of specificity allows teachers to more accurately identify the abilities of individual children and develop experiences and activities to meet each child’s needs. Children are always ready to learn. Children are always ready to learn, as long as the teacher knows where to start with each child. Preschoolers build new knowledge and skills based on what they have already learned. By providing a specific, explicit sequence of skills and knowledge, the Preschool Sequence allows teachers to guide a young child’s development in an apprentice-like fashion. Taking into account the child’s particular competencies, a teacher can offer experiences that most closely match a student’s present competencies while providing the stepping stones needed to advance to higher levels of understanding and competency. Assessment and instruction are intertwined. Effective teachers use assessment to inform the planning of activities and experiences in their classrooms. Evaluation of each student’s progress takes place in an ongoing fashion and is often conducted within the context of daily activities. The specificity of the Preschool Sequence allows teachers to fine-tune their planning to meet children’s individual needs. 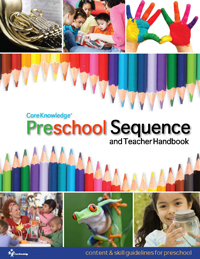 The Core Knowledge Preschool Sequence and Teacher Handbook provides, in a single bound publication, detailed guidance to implementing a knowledge-rich preschool program based on the Preschool Sequence. If you’d prefer a printed and bound copy, the complete Teacher Handbook and other preschool resources may also be purchased from the Core Knowledge Store. Have more questions about the Preschool Sequence? Check out our FAQs.